We like to have hot turkey sandwiches. I'm starting to get it down to a science at this point. 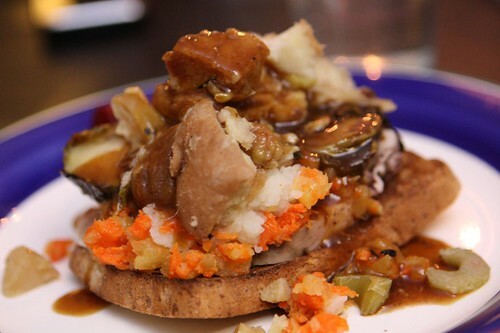 Each year we have hot turkey sandwiches the day after Canadian Thanksgiving and the day after American Thanksgiving. This marks the eighth blog post about the same dish, something I normally try to avoid. 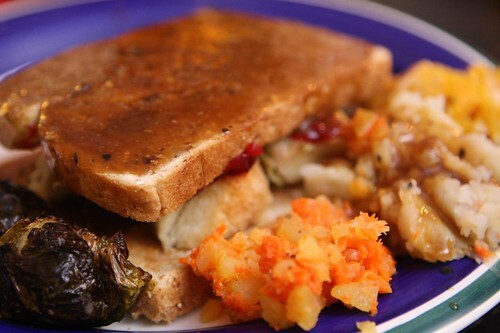 However, each year there is a slight spin on the hot turkey sandwich. Last year there was a Belgian theme, Two years ago Jen's father introduced naan into the mix. This year was not that innovative. 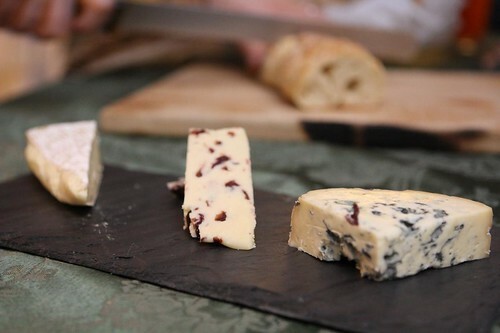 We started off with this cheese plate which featured Fourme D'Ambert, Cranberry Wensleydale, and Brie Rouzaire Nangis. I have now managed to convince one more person that Fourme D'Ambert is the most delicious cheese of all time. 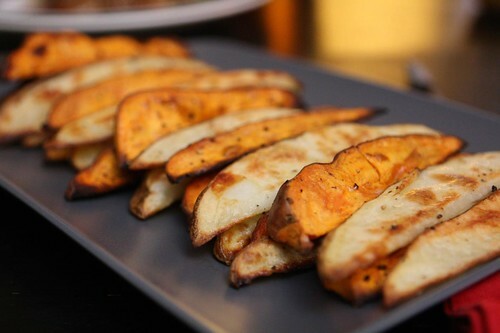 To accompany our sandwiches I made a mixture of regular oven fries and also some additional fries out of the aborted sweet potatoes Jen was going to make for Thanksgiving. Like an episode of Iron Chef she had run out of time to do all the courses she had intended to do and settled with a mere ten items. Side-by-side you have here, juxtaposed, Jen's closed faced turkey sandwich with my open faced turkey sandwich. Jen also believes that certain things are intended for the side while I have no problem jamming a bunch of Brussels sprouts and roasted parsnips onto the top of my monstrous sandwich. 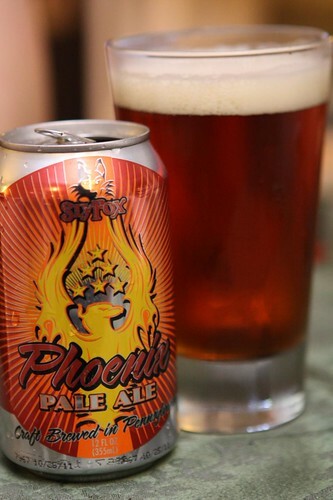 For beer I had this Phoenix Pale Ale from Sly Fox Brewing Company in Phoenixville, Pennsylvania. I picked it up because I'd guessed that my father-in-law would like it. It turns out I was right! Also, it turns out that this was a great accompaniment to turkey dinner leftovers. I'm always amazed when my random beer selections actually complement the meal. I assure you this is not intentional, I'm still sticking to my theory that any beer goes with any food. The same principle I have always upheld with wine pairing. I will, however, admit that there is a small chance that some beers or wines may just happen to pair better with certain foods.